With the summer months approaching and weather warming, weight loss may be on your mind. With every click of the remote, there are commercials advertising weight loss plans, exercise equipment, and fat burning supplements claiming to help you manage your weight. However, a recent study has shown that regular eating versus dieting may be the answer to long term weight loss and management. Therefore, the study suggests that eating healthy foods on a regular basis and avoiding dieting is the first step to long term weight management. 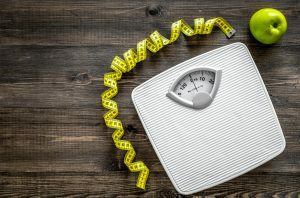 The findings of this recent study show that the following five ways are the cornerstone to managing your weight for the long term. Eating on a regular basis such as every 3 to 4 hours can help prevent overeating. You should consume a balanced diet of fiber-rich fruits and vegetables as well as adequate lean proteins each day. Such proteins may include animal products such as eggs, poultry, fish, seafood, and lean beef. However, if you are vegetarian, you can get plenty of protein from low fat dairy, soybeans and soy based products such as tofu, nuts, and seeds. Furthermore, you should limit your intake of processed products to reduce your total daily intake of sodium and sugar. Reducing intake of sugary beverages is the logical next step to help manage your weight. This means limiting sugary colas, juices, and pretty much any processed foods with added sugars. You can find the amount of added sugar on the nutrition label of most products. Stick to water, unsweetened tea and lemonade, or other low-calories beverages for your fluid intake. You should drink about half of your body weight in pounds in fluid each day. Therefore, if you weigh 200 lbs, then you should drink about 100 ounces of low-to no calorie fluid each day, or about 12.5 cups of fluid each day. Staying active is vital for managing weight. You should engage in at least 30 minutes total of moderate activity daily such as walking, gardening, light biking, or other activities that increase heart rate to a point where you can still hold a conversation, but not sing. This 30 minutes does not have to be all at once, but can be in 5 to 10 minute intervals throughout the day. Exercise is important for providing a calorie deficit to help lose weight and is also important for heart health. Not smoking and limiting other unhealthy lifestyle factors such as drinking alcohol is important for managing weight since these factors affect heart health and overall health status. Smoking can narrow blood vessels and increase blood pressure. It can also sap your energy since it makes it harder for your heart to get oxygen to your body’s tissues and affects lung health. Drinking alcohol is full of unnecessary calories and if consumed in excess can affect liver health. Your liver is in charge of breaking down fat and getting toxins out of the body. If your liver will rid of toxins before anything, so if you drink too much, your liver will not have much time for fat metabolism. This can lead to fat storage and weight gain, especially in the abdominal area. Managing stress can help you manage weight and gain a more positive perspective on your life. Relaxation breathing, yoga, or talking with a counselor can help you better manage stress and in turn lower your risk of chronic conditions such as heart disease and stroke. Sleep. Most adults are recommended to get 7 to 9 hours of sleep every night. Lack of sleep can increase risk of chronic conditions such as heart disease, diabetes, and obesity. Also, lack of sleep can make it difficult to manage stress and stick to a healthy eating and exercise plan. Nutrient status. Vitamin deficiencies, such as iron, vitamin D, or B12, can impact health by reducing energy. In fact, obese patients commonly have these vitamin deficiencies before weight loss intervention. You should get a lab test for these vitamins and nutrients at your annual doctor visit. Also, if you are low in such nutrients, you should start on a regular vitamin regimen. One supplement that may be helpful in getting your weight back on track is Kolonex by Vita Sciences. Kolonex is an advanced colon cleanser and detox supplement that contains psyllium husk and probiotics to help promote weight loss, less bloating, and more energy. Could a new diabetes medicine help you lose weight? When you have diabetes and are overweight, your doctor may say that a small amount of weight loss could help control your condition. However, if you have to take insulin to control your blood glucose levels, weight loss can be very difficult. Therefore, it is encouraging to report that a new diabetes medicine may help those with diabetes who are obese to lose weight. According to Joslin Diabetes Center, those with diabetes on insulin may have a challenging time losing weight. This is because when people with diabetes first start taking insulin, the body is finally getting the glucose in the cells where it was previously low. In turn, this energy that the cells start taking in lead to weight gain. It is important to note though, that an initial weight gain with the start of insulin treatment is a good sign that the body is working to get your blood glucose levels back in control. However, weight loss is not impossible for those with diabetes on insulin. With the proper supervision and treatment plan by your diabetes health care provider, those with diabetes can lose weight. A recent study found that a new diabetes medicine may help those who are obese without diabetes to lose weight. This new diabetes medicine, semaglutide, has a similar chemical structure to the hormone glucagon-like peptide 1 (GLP-1). GLP-1 helps to regulate secretion of insulin as well as appetite. The U.S. Food and Drug Administration (FDA) recently approved the semaglutide injection Ozempic as a once-weekly supplement to diet and exercise to help those with type 2 diabetes control their blood glucose levels. The one-year study done on semaglutide looked at nearly 1000 participants with obesity and without diabetes. Study results found that this treatment was effective as a weight loss treatment. Different study groups were given different dosages of the treatment (.05-.4 milligrams injection daily). Comparison groups were given a placebo or a different diabetes medicine called liraglutide. All groups were provided monthly diet and exercise counseling. All groups that received semaglutide lost significantly more weight than those in the placebo group. The highest dose group (.4 milligram injection daily) lost the most weight, nearly 5 times more than the placebo group. Researchers suggest that more studies could help fully explore the weight loss potential of semaglutide. Outside of prescription medicines, there are several lifestyle factors that can be adjusted to help those with diabetes lose weight. Eat a healthier diet. 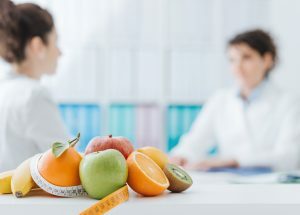 According to the Centers for Disease Control (CDC), those with diabetes should work with their doctor and a dietitian. They can help you learn how to create a healthy, balanced meal plan. A diabetes-friendly meal plan should focus on healthy carbohydrates such as fruits, vegetables, fiber-rich whole grain foods, and low-fat dairy. Learning appropriate portion sizes and limiting eating out are other strategies to help you lose weight. Exercise more. When you exercise, insulin becomes more sensitive. In other words, exercise helps your muscle cells to better use the available insulin. In turn, the insulin works to better take up glucose into the cells and use it as energy during and after activity. This helps lower your blood glucose levels. However, it is important to note that those taking insulin to help control their blood glucose levels should adjust their insulin dosage and carbohydrate intake around the time they exercise to avoid a glucose low, or hypoglycemia. Check out the American Diabetes Association site or talk to your healthcare provider about ways to avoid hypoglycemia during and after exercise. Drink plenty of water each day to help prevent drinking your calories from sugary drinks. Most of your body is made up of water. Therefore, drinking plenty of water each day can help you maintain optimal health. In addition, people with diabetes need more water when blood glucose levels are high. Studies show that increased water intake can help those with diabetes better control blood glucose levels. The average adult should drink about half of your body weight in ounces of water each day. For example, if you weigh 200 pounds, then you should drink 100 ounces of fluid each day, or about 12.5 cups of water. Increased water intake can also help you feel fuller longer and prevent dehydration. In turn, increased water intake can help you manage you weight and increase energy over time. Take diabetes-friendly supplements such as Glucarex by Vita Sciences. Glucarex contains compounds such as chromium, alpha lipoic aicd and cinnamon to help support blood glucose levels. Such ingredients can help support weight loss and a healthy metabolism. Could a walk in the park lower stress levels? Staying active has many benefits. In particular, you may have been told by a healthcare provider to move more to help manage weight or improve heart health. However, a recent study has found that a walk in the park may also reduce stress levels in the body. 150 minutes of moderate activity a week or 75 minutes of vigorous activity a week, or a combination of both levels of activity. 2 days each week of resistance or strength training that involves a single set of exercises that includes 12 to 15 repetitions at a weight that will tire the muscles by the end of the set. A study by researchers at the Center for Nature and Health at the University of California San Francisco looked at the effects of exercise on a group of 78 parents and children. This group of parents and children were encouraged to visit local parks as often as possible over the course of the study period. They were either provided maps to local parks and bus schedules or invited to group outings at local parks. Besides getting fresh air and exercising, there are many ways you can try to lower your stress levels. Deep breathing can help relax the mind during stressful times and can also help improve sleep. This type of breathing involves breathing from the diaphragm, which means your stomach should inflate as you inhale and deflate as you exhale. Inhale for several seconds, hold your breath for several seconds, and exhale for several seconds. You may feel a bit lightheaded when starting this practice, so do not perform deep breathing when driving a car or operating machinery. Simplifying your life by donating items in your home that you do not use such as clothes, excess furniture, or decorative items. Also, delegate tasks when possible at both home and work if possible to lighten your load. Finally, write upcoming events on a calendar and keep a running shopping list so you can lighten the burden on your mind. Getting enough sleep is important not only for lowering stress, but for overall health. The average adult should get at least 7 to 9 hours of sleep each night. Eating a balanced diet that is low in sugar, high in fiber, and high in other nutrients such as iron, B12, and vitamin C will help your body perform better in many ways. Some benefits of a healthy, balanced diet include improved cognitive function, better heart health, and an enhanced ability to handle stress. 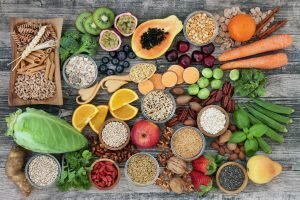 This balanced diet also includes lowering caffeine, increasing water intake, and reducing alcohol intake as well as eating a minimally processed diet. 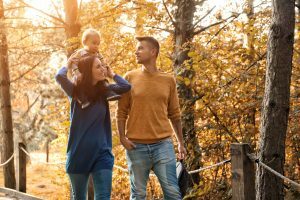 Spending more time with others in your family, circle of friends, and/or community since social engagement can help boost “feel good” serotonin levels in the body. Taking mood-boosting supplements like Elevia by Vita Sciences. Elevia contains GABA, chamomile, and 5-HTP. These compounds can calm the mind and boost serotonin levels.